Yay! We’ve received the first sample copies — and the stock — of my new coffee-table book! I am super-duper-stoked with how it has turned out. All the work and heartache over the years has most definitely been worth it. Thanks so so much to my supporters and everyone who contributed their time and energy into this project over the years. I wanted to create a book that reflects the most positive aspects of climbing and the climbing community — and I hope we’ve achieved that. Below is what my marketing department had to say about it (thanks babe)!Â Please check the book out everyone and I look forward to hearing what you think. 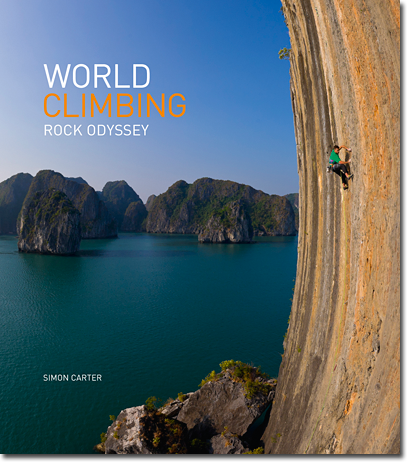 World Climbing: Rock Odyssey, the welcomed sequel to Simon Carterâ€™s award-winning World Climbing: Images from the Edge, presents the finest images by one of the worldâ€™s foremost climbing photographers. 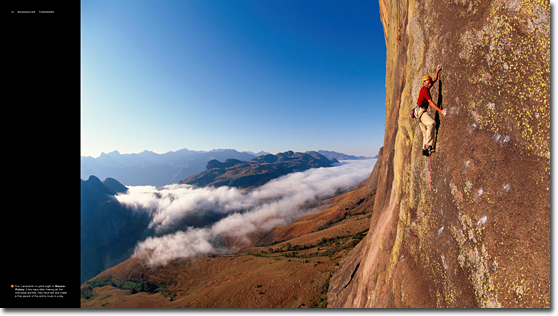 Rock Odyssey is a photographic essay which follows modern-day rock climbers to far-flung reaches of the world where they attempt the routes of their dreams. 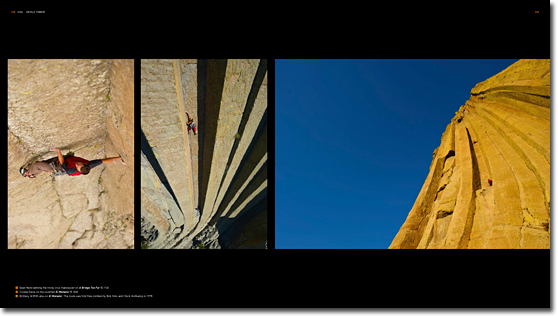 A visual feast, Rock Odyssey takes us on a breathtaking voyage stopping at sixteen exceptional rock climbing destinations. From the wild interior of Madagascar, Simon Carter gives us an eagles view high up on the Tsaranoro Massif. Off the coast of Vietnam, he explores limestone karsts jutting from the glistening emerald-green waters of Ha Long Bay. In North America he seemingly employs wizardry to reveal Devils Towerâ€™s geometric multi-faceted columns from unseen perspectives. 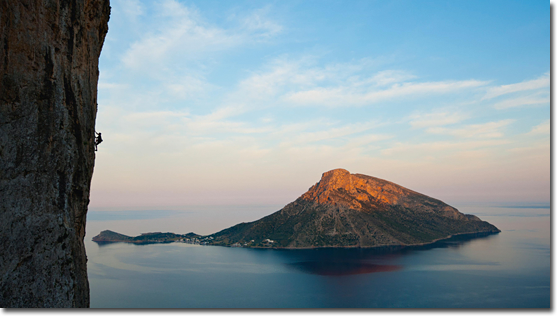 Over on the Greek isle of Kalymnos, he navigates us through the bewildering three-dimensional tufa jungles. And bringing it back home, Carter presents the giddying gyroscopic exposure from the perfect pillars of Tasmaniaâ€™s Tasman Peninsula. The Dolomiteâ€™s wild alpine rock, Montserratâ€™s crazy cobblestone towers and The Darranâ€™s Jurassic wilderness are just some of the other highlights along this spectacular circumnavigation of the globe. 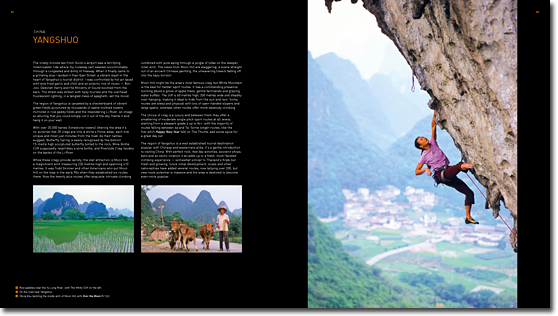 Chapter introductions written by leading Australian climber, Monique Forestier, set the scene and give delightful insights into the unique attractions of each area. 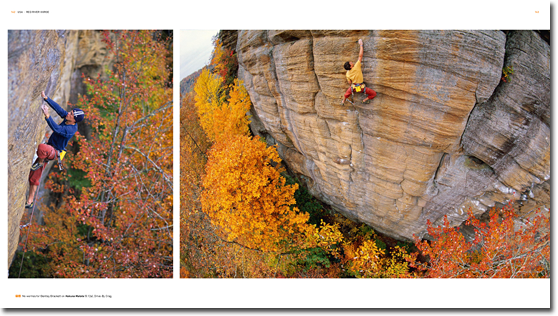 Rock Odyssey is a celebration of Simon Carterâ€™s vision to capture the dizzying feats of climbers doing what they love most. Carter has captured elusive moments, seamlessly merging landscape with action and magically animating his images with untrumpable natural light. 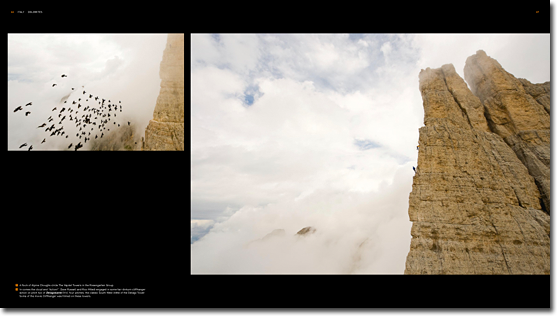 Through Carterâ€™s lens, the extraordinary rock architecture of the worldâ€™s classics crags become the stage, an arena, where climbers contest their own mental and physical battles. Barriers are broken, boundaries are pushed, dreams are lived, and, sometimes, summits are bagged. So chalk up, grab a copy, hold on tight and let the odyssey begin. Large format, hard-cover coffee-table photo book. 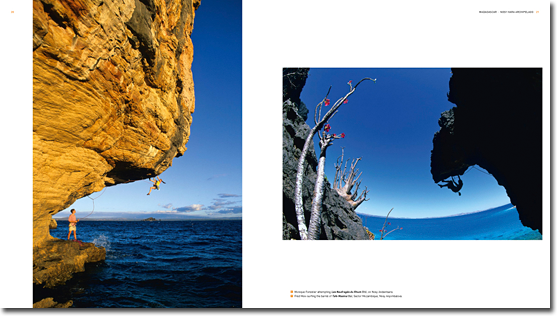 Featuring 208 spectacular colour images from 16 of the world great rock climbing destinations. 180-pages, measuring 280mm high x 250mm wide. Published by Onsight Photography, please contact us with distribution queries. Mail-order from our online shop here. Or use the “Buy Now” buttons below. In AUSTRALIA it is available from many good outdoor equipment shops. In the UK and Europe it is distributed by Cordee. In the USA it is distributed by Wilderness Press. Looks awesome! Congratulations, are there any photos of the New Zealand climbing scene? Thanks Brad! Yes, there is a chapter on the Darran’s sport crags. Beautiful place… I couldn’t resist. Can’t wait to check it out! I’ll tell the touchstone gyms to stock them! I’ll get back to you guys!